Little Castle Gliders-Processing Rush Orders Now ! 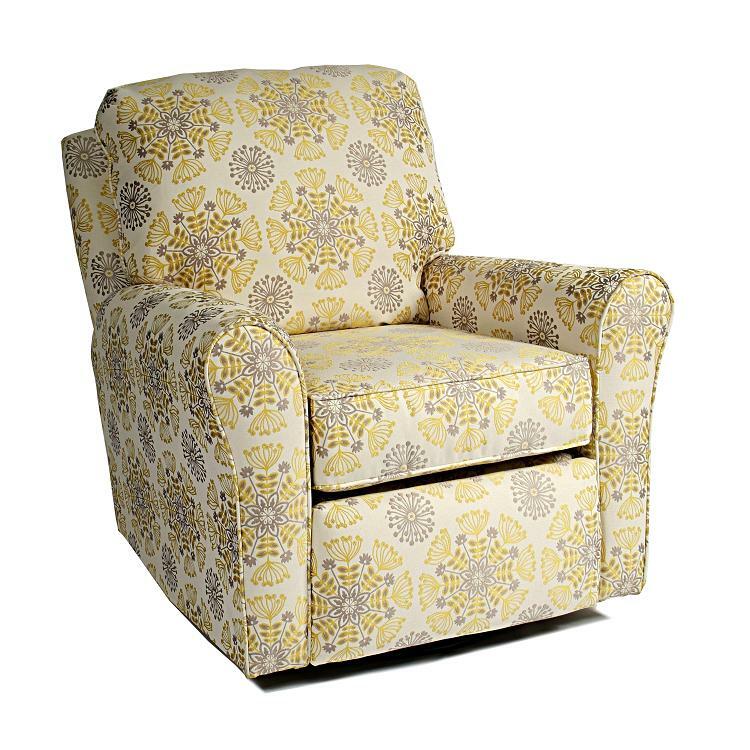 Little Castle Inc. Offers a wide variety of nursery gliders with over one hundred fabric options and many glider styles such as: Recliners, Chair and a half or just nursery gliders. There is also a wide variety of ottomans to coordinate with every glider available. 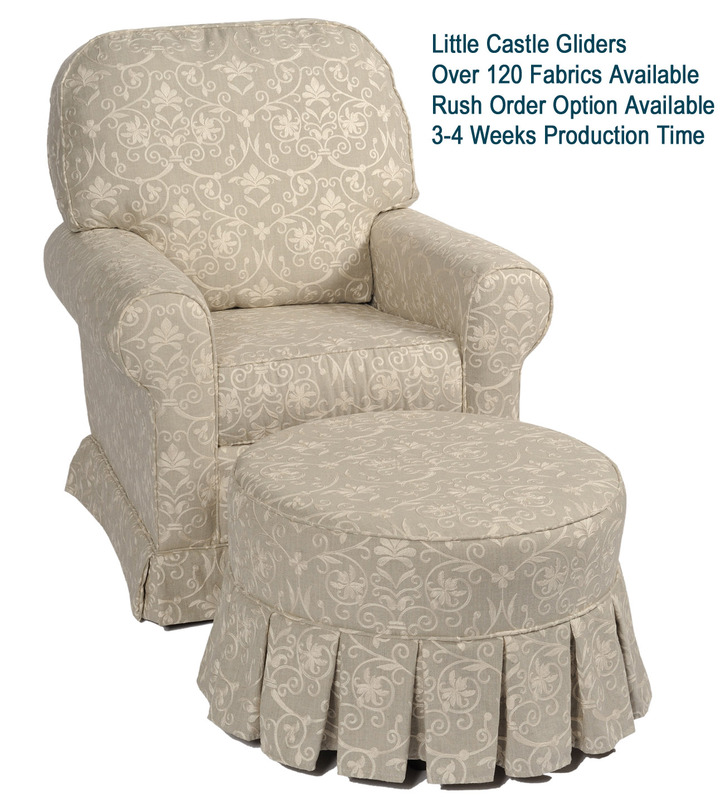 We are offering Free Shipping for a limited time on all Little Castle Nursery Gliders! With over 100 fabrics to customize your glider and many styles to choose from, Little Castle offers the best selection on nursery gliders. We are excited to announce we will now offer Doodlefish fabrics to customize all Little Castle Gliders; this will bring you an additional 120 fabrics to choose from! Doodlefish is known for offering an exquisite line of quality products for a custom look. 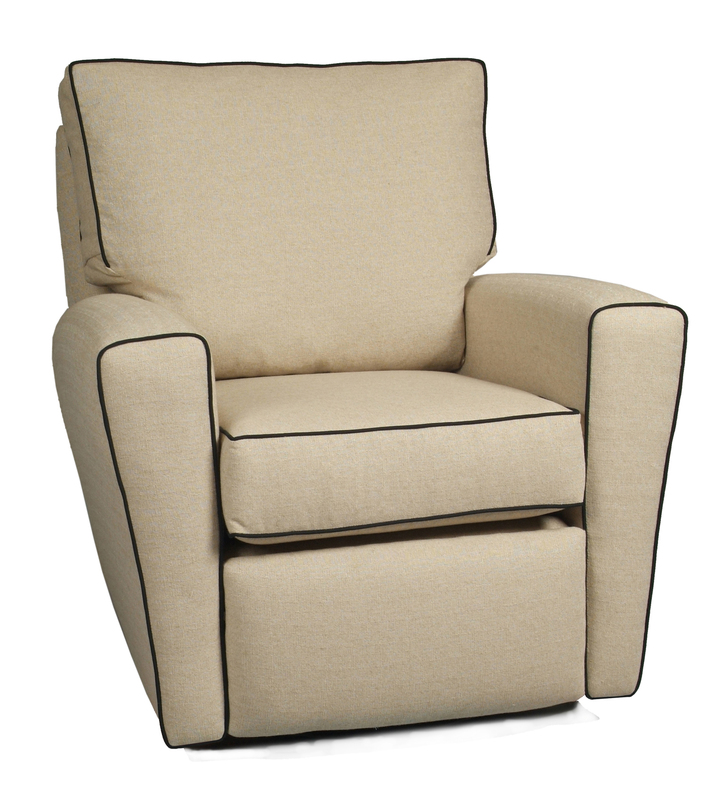 You may choose from one solid fabric or combine with contrast piping. There are many options available to create a one of a kind nursery glider! If you have questions or need help designing your gliders, give us a call we will be happy to guide you through the selection process.